Sola Sisters: Tapping - The Next Big Thing in "Alternative Medicine"
Tapping - The Next Big Thing in "Alternative Medicine"
Be on the lookout, my friends, for something called "Tapping." The Tapping World Summit 2011 is underway right now, and it is promoting and teaching a new "Alternative Medicine" technique called "Tapping." Tapping is something that a trained practitioner would do, and has to do with, literally, "tapping" along the "meridian lines" of the body. These are the same "meridian lines" as in acupuncture/acupressure. This theory of meridians in the body (supposedly energy centers that run through every human body) is based on the pantheist, Taoist belief that the body being interconnected with the energy of the "Divine." But this is not a biblical concept. pantheism noun \ˈpan(t)-thē-ˌi-zəm\ - a doctrine that equates God with the forces and laws of the universe. Chinese Taoist "medicine" is based on the belief that the body has "innate wisdom" and knows how to heal itself. Taoists believe this because, in their pantheistic view, they believe that everything in the world and and in the universe is made up of energy and is interconnected ("Universal Energy"). And thus, the body being a little part of the greater Divine whole, it already has within it all knowledge and all wisdom.....it just has to access it. As a side note, Swiss psychiatrist Carl Jung had a similar parallel theory that he was credited with developing, and which greatly influenced the realm of psychology, and that was the idea of the Collective Unconscious. 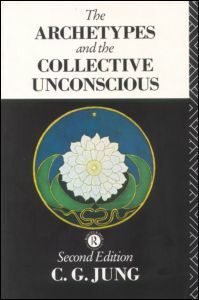 The Collective Unconscious was supposedly this vast pool of perfect knowledge and wisdom that could be accessed by anyone who would take the time to get rid of emotional blockages through psychotherapy and/or with the use of psychiatric drugs. But Who does the Bible tell us has All Wisdom? Psalm 147:4-5 He telleth the number of the stars; he calleth them all by their names. Great is our Lord, and of great power: his understanding is infinite. Acts 15:18 Known to God are all his works from the beginning of the world. And Who is our Great Healer? It is Jehovah-Rapha - "The LORD is your Healer"
Exodus 15:26: And He said, "If you will give earnest heed to the voice of the LORD your God, and do what is right in His sight, and give ear to His commandments, and keep all His statutes, I will put none of the diseases on you which I have put on the Egyptians; for I, the LORD (Jehovah-Rapha), am your healer." For me, as a former New Ager and pantheist, the question I keep circling back to is this: since these supposed "medicines" are based on pantheist, Taoist philosophy, how "good" could they really be? "Universal Energy" the Key to Health?